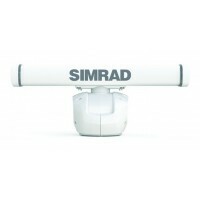 Radars & Pedestals	There are 19 products. 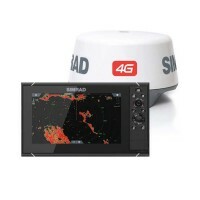 Simrad GO7 XSR Multi-Function Display and 3G Radar Package is a Chartplotter w/ TotalScan Skimmer 455/800 Transducer (Includes Base Map). 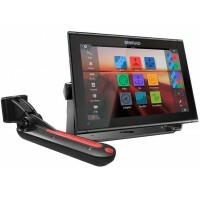 Display: 7". Nominal Voltage Supply: 12 Volt DC. 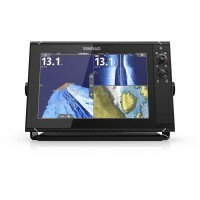 Includes: Built in Echosounder, GPS and Wi-Fi. Resolution 800x480. Shipping Weight: 90.60 Lbs Warranty period 2 Years. 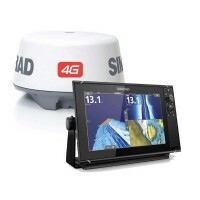 Simrad GO12 XSE 12" MFD 4G Radar Bundle w/Totalscan Transducer - Radar display for Simrad Broadband 3G™/4G™ & Halo™ Pulse Compression radar. 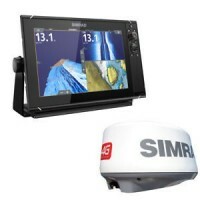 Compatible w/the Simrad WM-3 SiriusXM satellite weather module. 12" Diagonal High Visibility WVGA Color TFT LCD. 12 vDC (10 - 17 vDC). 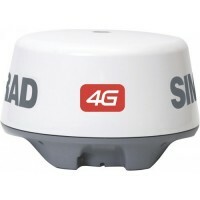 Radar compatibility: Halo, Broadband, HD Radars. IPX 6 & 7. 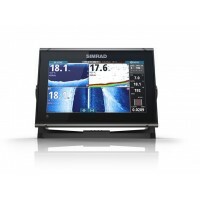 Touch screen, OP40 or OP50 controller via NMEA 2000. 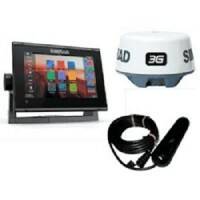 Simrad GO12 XSE 12" MFD 3G Radar Bundle with Totalscan Transducer - Radar display for Simrad Broadband 3G™/4G™ & Halo™ Pulse Compression radar. 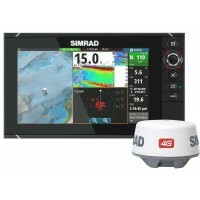 Compatible w/the Simrad WM-3 SiriusXM satellite weather module. 12" Diagonal High Visibility WVGA Color TFT LCD. 12 vDC (10 - 17 vDC). 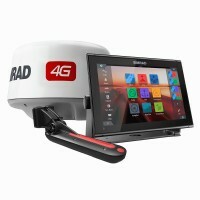 Radar compatibility: Halo, Broadband, HD Radars. IPX 6 & 7. 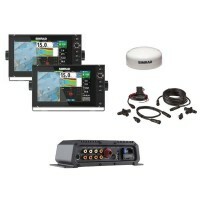 Touch screen, OP40 or OP50 controller via NMEA 2000. 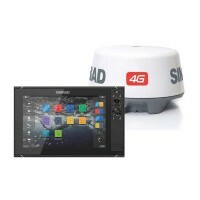 SIMRAD NSS7 EVO3 Radar Bundle Insight 4G Dome offers exceptional clarity and ultra-wide viewing angles, combined with an all-weather touchscreen and expanded keypad for total control in all conditions. 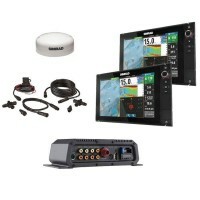 Cruise confidently with ForwardScan sonar, or fish easier with StructureScan® HD imaging and dual-channel CHIRP-enabled Broadband Sounder™ technology. 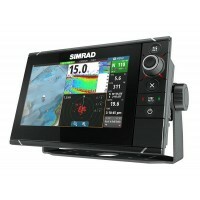 SIMRAD GO12 XSE 12" Plotter With Totalscan offers true ease of use with intuitive touchscreen controls that smartphone and tablet users will find instantly familiar. Customise your home screen with the features you use most, and see everything you need on screen at once with adjustable split-screen views. 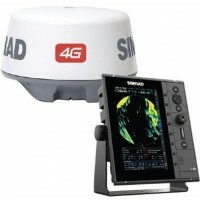 SIMRAD HALO3 Open Array Radar 3' Antenna 20M Cable delivers an unprecedented mix of long and short detection range, with precise target definition and minimal clutter. Quick start-up and maximum ocean-going reliability ensure you have coverage when you need it, while low-power pulsed transmissions mean Halo Radar is even safe to run in anchorages and marinas. 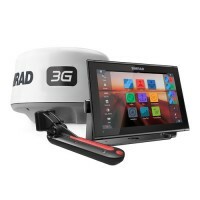 SIMRAD R2009 9" Radar With 3G Radar Dome features a compact and ultra-bright 9-inch display that’s perfect for centre consoles, and maximises screen size where you have limited mounting space available. Choose from a clean flush-mount installation, or the convenience of bracket mounting to install almost anywhere.